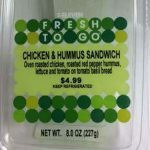 7-Eleven Sandwich Recall News – On November 22, 2016, Greencore, USA recalled its “Fresh to Go Mediterranean Chicken Hummus” sandwich that it is sold exclusively in 7-Elevens due to the sandwiches potential to be contaminated with Listeria monocytogenes. On November 22, 2016, Greencore, USA issued a recall on its “Fresh to Go Mediterranean Chicken Hummus” sandwich that it solely manufactured for 7-Eleven Corporation. According to the Press Release the sandwich contains a red pepper hummus ingredient that was supplied by Sabra Dipping Company. 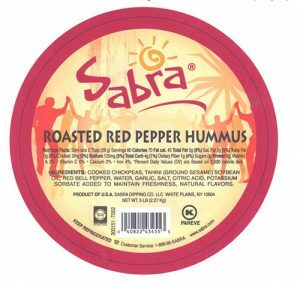 On November 19, 2016 Sabra Dipping Co, LLC, recalled a long list of hummus products due to their potential to be contaminated with Listeria monocytogenes, one of which was the same Red Pepper Hummus used in the 7-Eleven sandwich. The recall includes lots distributed since October 15, 2016. Sandwiches were distributed to 7-Eleven stores in Illinois, Indiana, Iowa, Wisconsin, Massachusetts, Rhode Island, Connecticut, Maine, Vermont, New Hampshire and New York. The “Use By Date” of sandwiches is listed on the back panel of the sandwich. The “Use by Dates” that are impacted by the recall included all dates between 10/16/2016-11/22/2016. The Weinberg Law Firm is currently assisting victims of Listeria food poisoning outbreaks nationwide. We are ready to help you too. If you or a loved one was sickened after consuming a Listeria contaminated product and you have a question regarding you legal rights, please call us toll free, 24/7 at 877-934-6274. You can learn more about our legal services at Talcum Powder Lawsuit, Car Accident Lawyer NJ, and Pulmonary Embolism Malpractice. Let us help you take the first step toward seeking compensation for your injuries.